Your Dentist in Spring Hill Says Expired Products Must Go! As the spring season is on the horizon, you naturally feel the inclination to freshen things up. This also applies to your oral health. Thus, you’re looking for ways to make improvements. A step in the direction is to clean out any outdated dental hygiene products and start fresh. As you read on, your dentist in Spring Hill provides a guide for when the products must go! Comments Off on Your Dentist in Spring Hill Says Expired Products Must Go! Does Mouth Breathing Cause Plaque Buildup? Ask a Dentist in Spring Hill! It’s not uncommon for people to breathe through their mouth at night, but it can have several surprising consequences to their oral health. In addition to causing snoring, dry mouth, and bad breath, it can also increase the amount of plaque that builds up on the teeth. In this blog, you’ll find out how mouth breathing contributes to plaque levels and how you can counteract it to keep your smile as healthy as possible! Comments Off on Does Mouth Breathing Cause Plaque Buildup? Ask a Dentist in Spring Hill! There are certain situations you would clearly like to avoid. 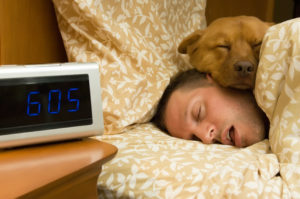 One of them is to suffer from a dental emergency. Unfortunately, life doesn’t always dole out what is desired. Thus, at any given moment you could be forced to deal with some form of dental trauma. How should you respond? Your emergency dentist in Spring Hill explains how to deal with 5 common dental emergencies. Is It Okay to Skip Preventive Care? 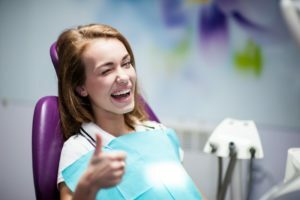 Your Dentist in Spring Hill Answers! As the years go by, your schedule seems to get busier and busier. Therefore, the last thing you have time for is to concern yourself with preventive dentistry, right? Could skipping out on regular visits be detrimental to your oral health and maybe even your overall wellness? 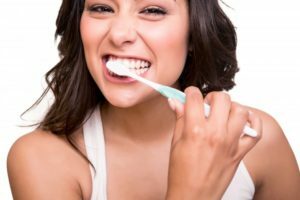 Your dentist in Spring Hill tackles these questions and provides expert advice that will help to fortify your dental health! Comments Off on Is It Okay to Skip Preventive Care? Your Dentist in Spring Hill Answers! Start 2019 Off On the Right Foot By Scheduling With a Dentist in Spring Hill! It’s that time of year again! January is here and everyone has an opportunity to make a fresh start in some area of their lives. One of the most common things people do is improve their physical health by exercising more or eating less sugar. But why not decide to improve your oral health for a change? 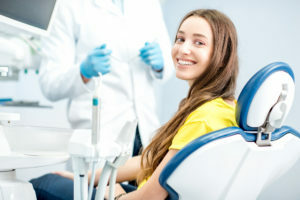 Along with good brushing and flossing habits, seeing a dentist in Spring Hill for regular checkups is one of the most important things you can do for a healthy smile. Keep reading to find out why checkups are so important and how they benefit you. You’ll be one step closer to having a smile you can be proud of in 2019! Comments Off on Start 2019 Off On the Right Foot By Scheduling With a Dentist in Spring Hill! Dentist In Spring Hill Nominated For ‘Best Of’ Award and Would Love Your Vote! Family Dental Associates has recently been nominated for the Best Of Spring Hill and Thompson’s Station Award and we couldn’t be more excited! In this blog, we want to start by expressing our gratitude to our amazing patients for allowing us to serve their dental needs over the years. We don’t take the relationships we’ve built for granted and look forward to many more years of providing outstanding dental care to the community. Keep reading below to hear about the kind of service we provide and what so many of our patients have said about their experience with us. You’ll also find out how you can cast a vote for the best dentist in Spring Hill! 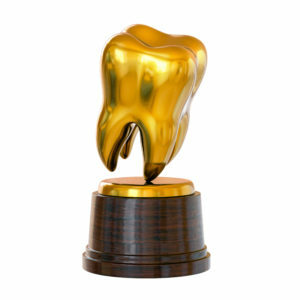 Comments Off on Dentist In Spring Hill Nominated For ‘Best Of’ Award and Would Love Your Vote! 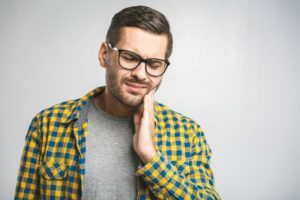 The holidays are a time of cheer and joy, but unfortunately, it’s also a time of increased dental emergencies. During the season’s festivities, you may indulge in food you normally don’t eat, or put your teeth to the test in ways they aren’t regularly used. This can cause a dental disaster that will really put a damper on the holiday fun. Thankfully, there are ways you can keep your teeth safe during this season of joy! 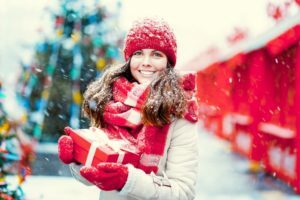 Keep reading to learn the best ways to avoid dental emergency over the holidays from an emergency dentist in Spring Hill. While you’re thinking about everyone else on your gift-giving list this season, you may also be wishing your smile could shine brighter for the holidays. Now is the perfect time to give yourself a new smile. Needing a few reasons to go for it now? Wondering which treatments are best for you? Your cosmetic dentist in Spring Hill has the answers you need. 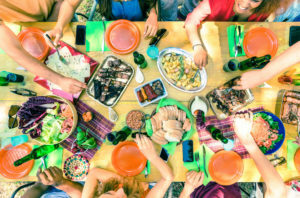 Juicy watermelons, corn on the cob, smoky ribs – from camping to backyard barbecues to family trips to the pool, many of our favorite summer activities revolve around food. If you have recently invested in porcelain veneers, you are ready to show off your confident smile whenever someone grabs the camera this summer. 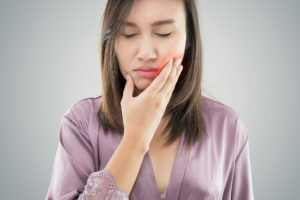 However, when you’re piling your plate high with delicious food at the next barbecue, there are a few items a cosmetic dentist in Spring Hill recommends avoiding to help keep your veneers in excellent condition. Keep reading to find out which foods to keep off your plate. Gummy Smile? Your Cosmetic Dentist in Spring Hill Can Help! You have gorgeous teeth, and you want to show them off when you post Instagram selfies or meet new people. Still, you might hesitate if a large portion of your gums show when you smile, detracting from its natural beauty. What can you do about this problem of proportions? Your cosmetic dentist in Spring Hill offers a treatment that can address this issue and help your grin reach its full potential. Comments Off on Gummy Smile? Your Cosmetic Dentist in Spring Hill Can Help!